With the deluge of communication around us-books, newspapers, blogs, journals, and magazines all insisting that their view of the world is most compelling-which should we trust? This is no small question. In fact, our answer has eternal implications. 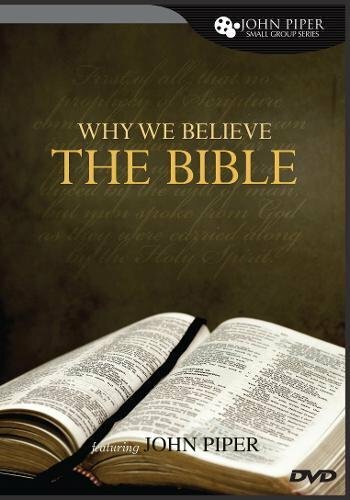 The twelve-session Why We Believe the Bible DVD and Study Guide are designed to help study groups and classes explore the claim that the Bible stands above all others as the book of books, pointing infallibly to the King of kings. Through the DVD teaching of pastor John Piper and the five guided assignments per week, participants will study biblical texts and discuss probing questions to help them see why the Bible alone is worthy of our confidence. If you have any questions about this product by Crossway, contact us by completing and submitting the form below. If you are looking for a specif part number, please include it with your message.